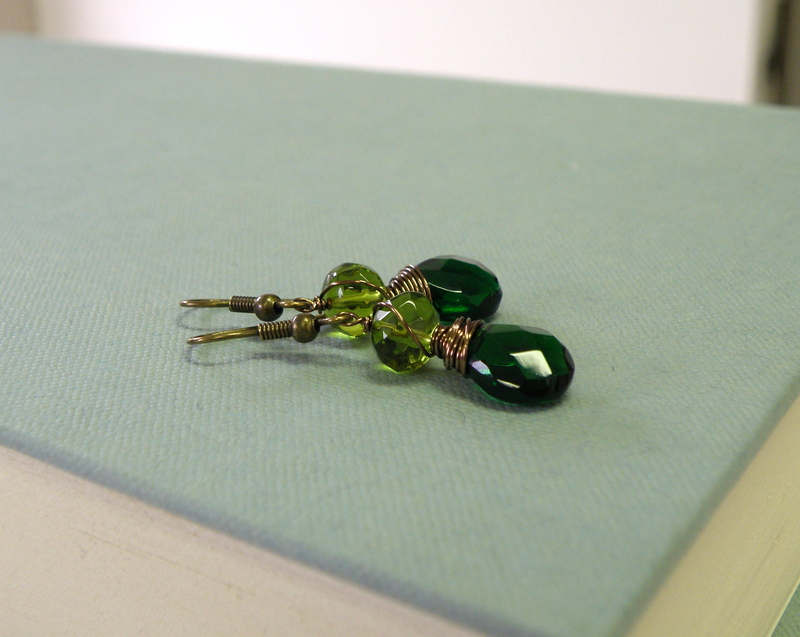 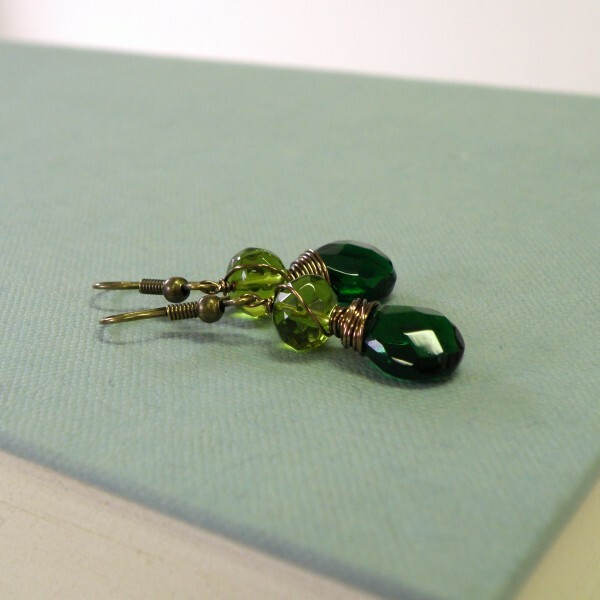 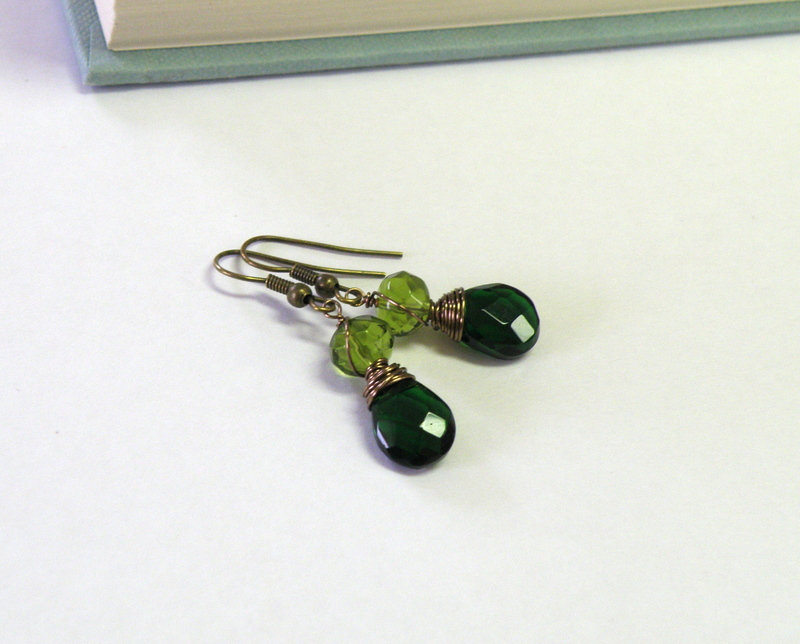 Vibrant, vintage green glass beads are wire wrapped by hand in antiqued brass and hang delicately from french hook ear wires. 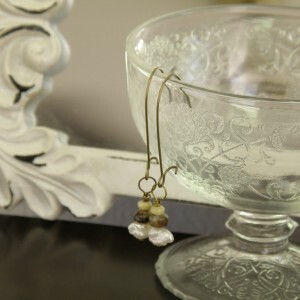 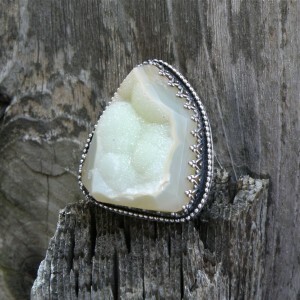 A simple vintage accent perfect for every day! 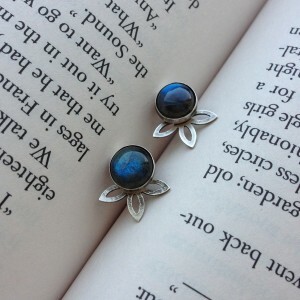 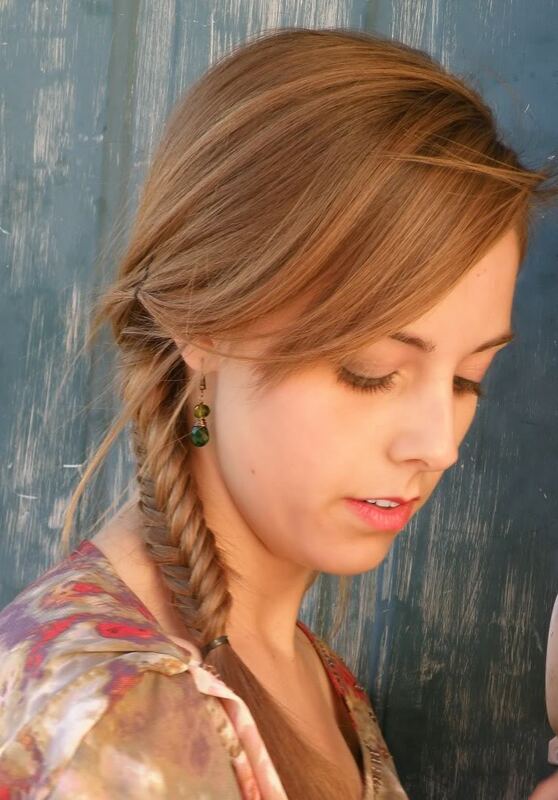 Category: Earrings. 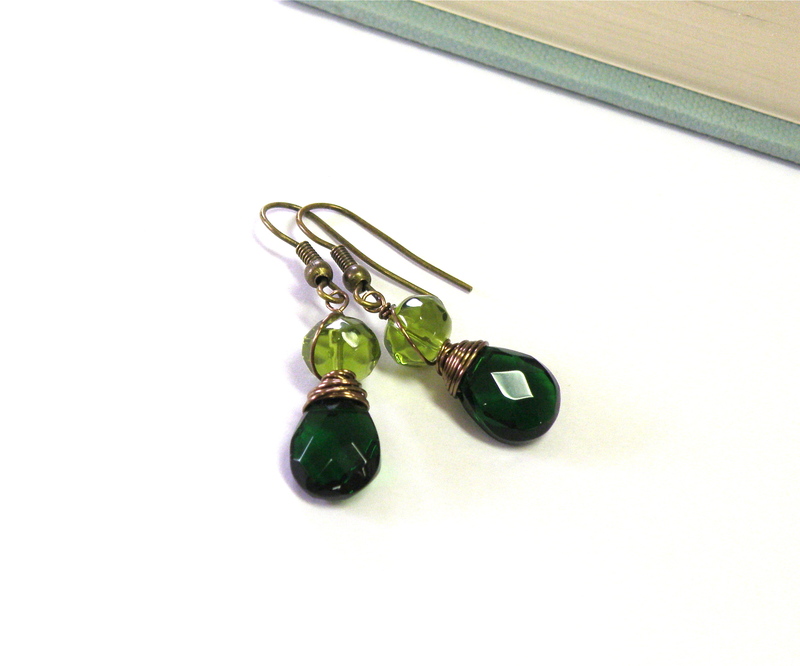 Tags: antiqued brass, artisan, earrings, glass, green, handmade jewelry, vintage.